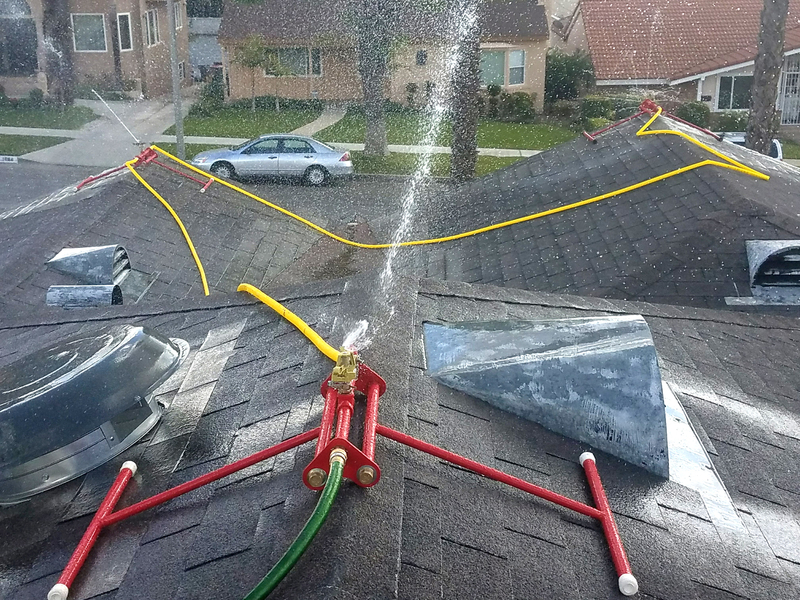 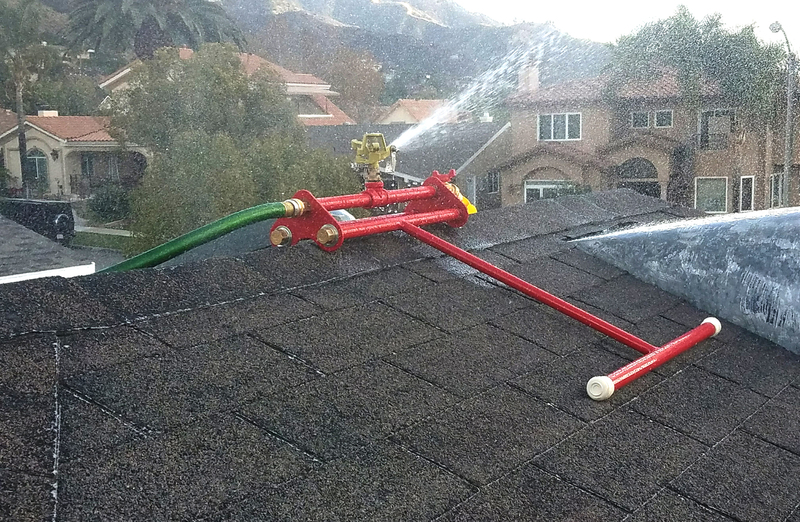 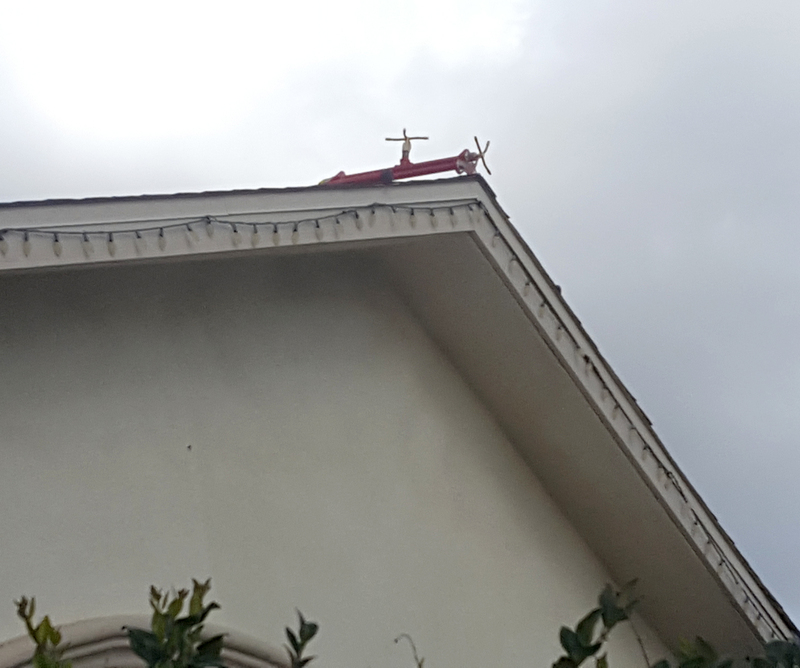 Rooftop sprinkler system for wildfire protection against ember attack. 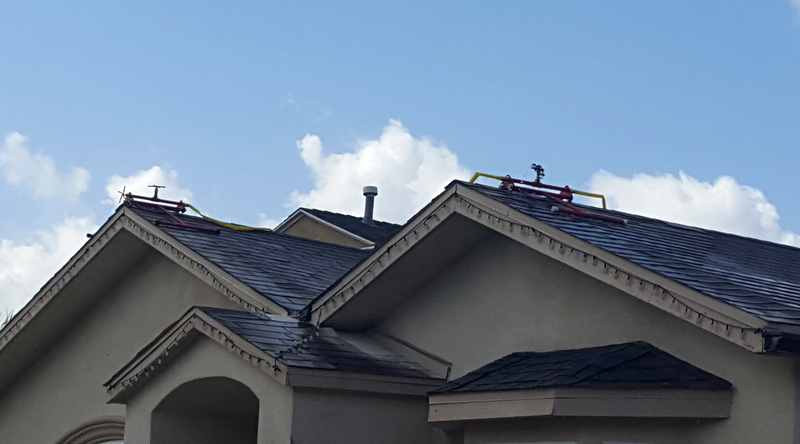 Ember-S-Guard is designed to wet the rooftop of a building and a portion of the surrounding grounds to help prevent ignition of the building. 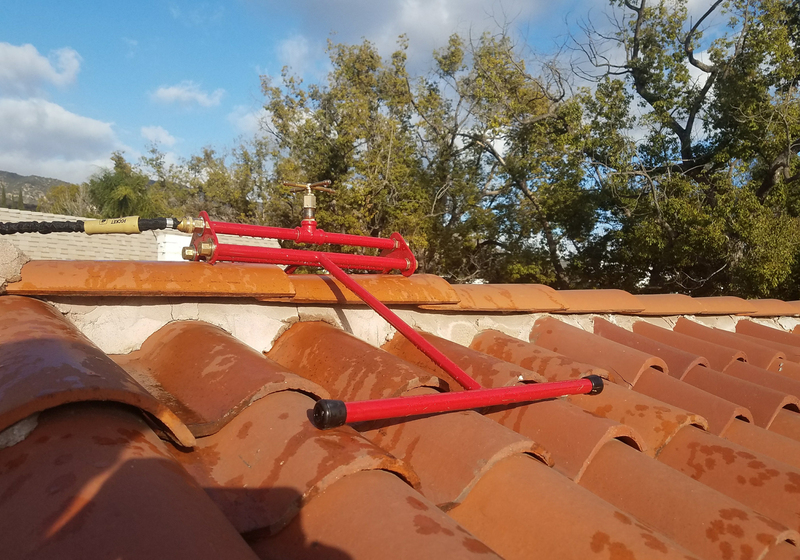 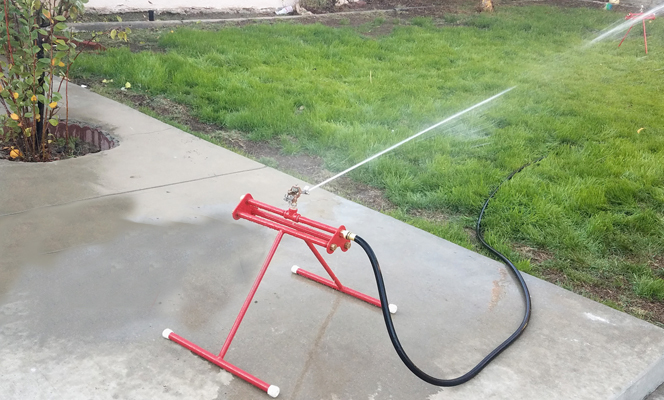 This multipurpose portable tool is primarily made to protect your property from ember attack, but can also be used as irrigation for garden and lawns, as well as cooling your roof (or misting your patio), and as an entertainment for kids on a hot days of summer. 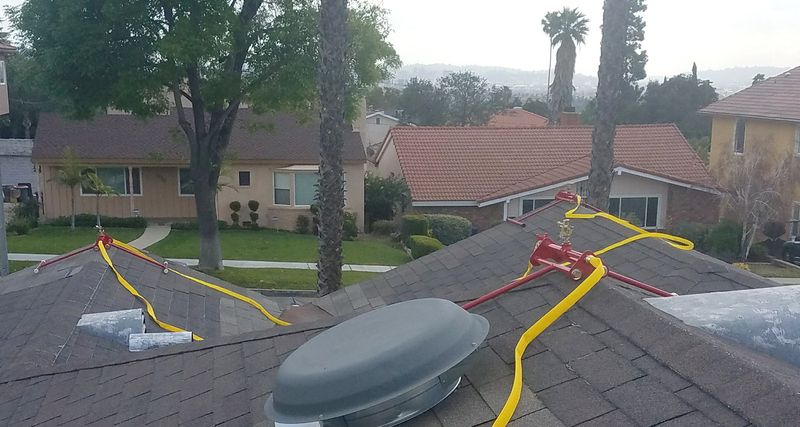 Embersguard™ system is a highly effective tool to help survive a wildfire – together with defensible space and other fire safe measures your home will have a much better chance of survival! 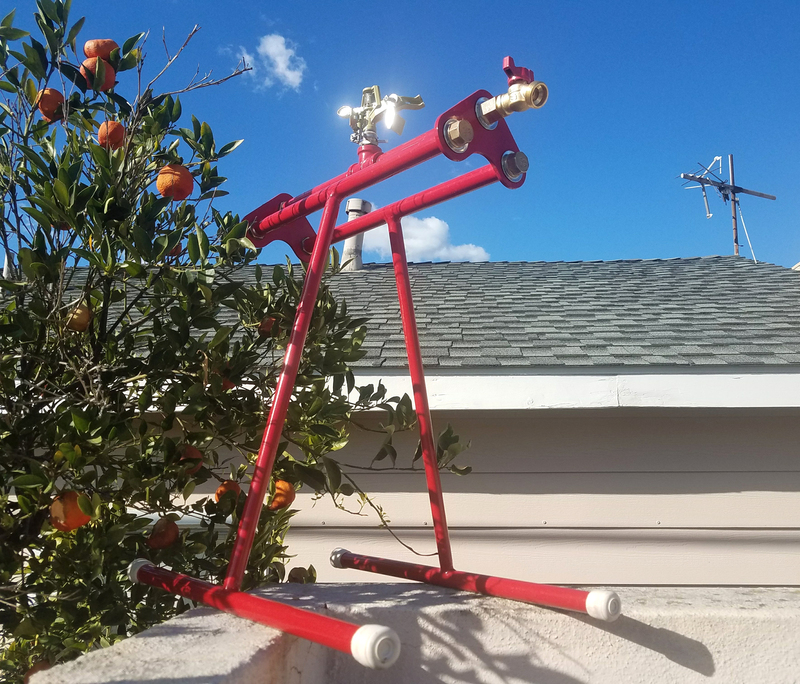 Built to last – no plastic parts! 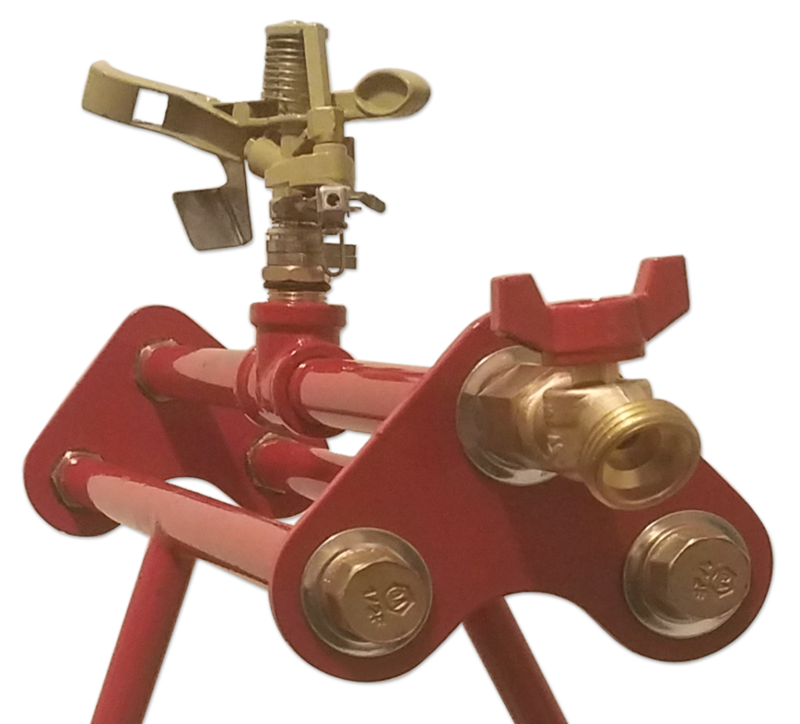 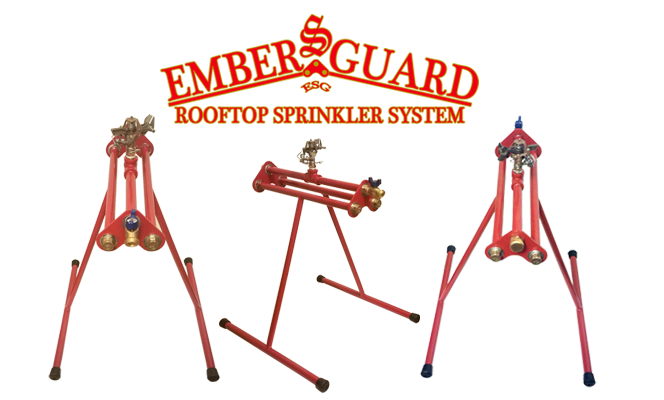 Ember-Sprinkler-Guard™(ESG) - is the one of the most effective & efficient tool to protect your property from wildfire ember attack. 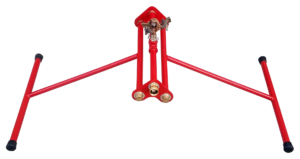 For Distribution Opportunities & Wholesale Inquiries, please contact us.